Butler added, the ability to make a block that becomes as hard as a brick without the negative environmental impact that firing bricks causes was a distinct advantage over cement and brick building materials. CEB walls cost 30% less cost over cement block walls. The ability to employ five people and cover the expense of all the materials and be able to pay for the machine over time excited a lot of prospective buyers. Making a block for as low as $0.23 and being able to cover all material, capital, and overhead expenses convinced many that the use of the machine could go a long way to providing a sustainable business targeted at fighting poverty. FTC, with Vermeer’s manufacturing contribution, will make the machine available to groups in need and NGOs for the price o $17,000, said engineer and co-designer, John Castings. Many CEB machines run well over $100,000. The diesel-powered machine can produce a block every 15 seconds. Of interest for remote areas, the machine requires no electricity. A You Tube slide show can be viewed here. 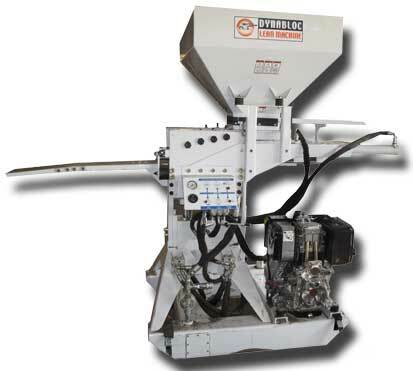 According to FTC marketing information “The Dynabloc Lean Machine (LM714), manufacturing CEBs is easier, quicker, cheaper, and more consistent than ever before. 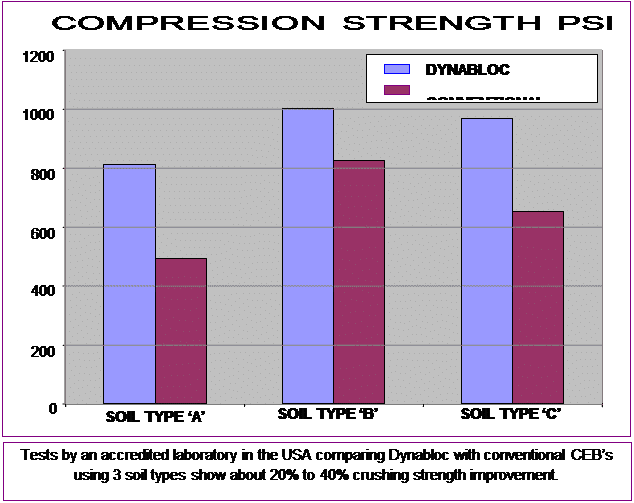 Dynabloc CEBs are made by hydraulically compressing and forming a mixture of soil and stabilizers (less Than 10%) such as Portland cement and/or lime. “Our unique process and advanced-yet-simple-to-use design uses one-third the material of other processes to produce uniform blocks with consistent length, width, and height. There is no need to oven-fire the blocks, and minimal machine operating skills are required.